Fun at the bike races! Here spectators watch as professional racers from around the U.S compete at the North Star Bicycle Festival and Grand Prix, last Sunday, in Stillwater, MN. 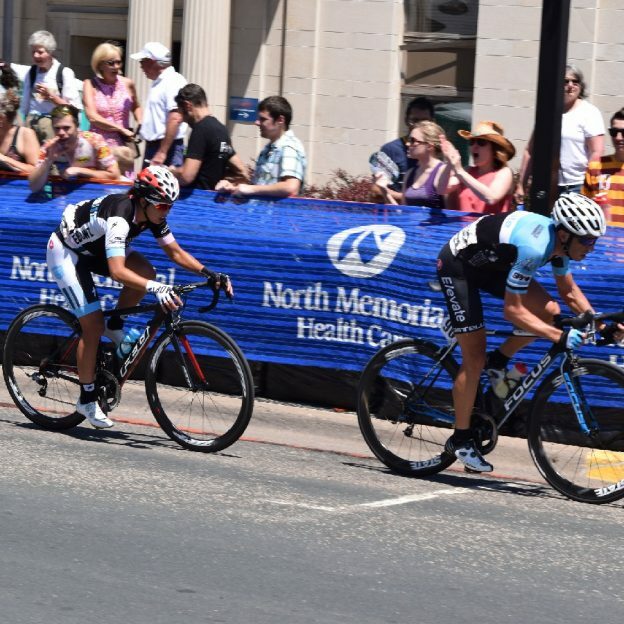 This entry was posted in Picture of the Day and tagged #FindYourNextAdventure, #onlyinMN, men's bike races, Men's Pro Races, North Memorial Health Clinic, North Star Bike Festival and Grand Prix, Stillwater on June 23, 2016 by Russ Lowthian. Bike Pic June 19, Fathers Day wishes at the races! Here is a man running along side and supporting his daughter as she participates in the North Star Bike Festival, Park Dental Kid’s Race last year on Fathers Day, in Stillwater MN. The Festival draws the top pro/elite racers from all over the country and this Sunday’s event is the sixth and final stage of this years race. Today the Festival concludes in Stillwater, MN. See the full schedule here. 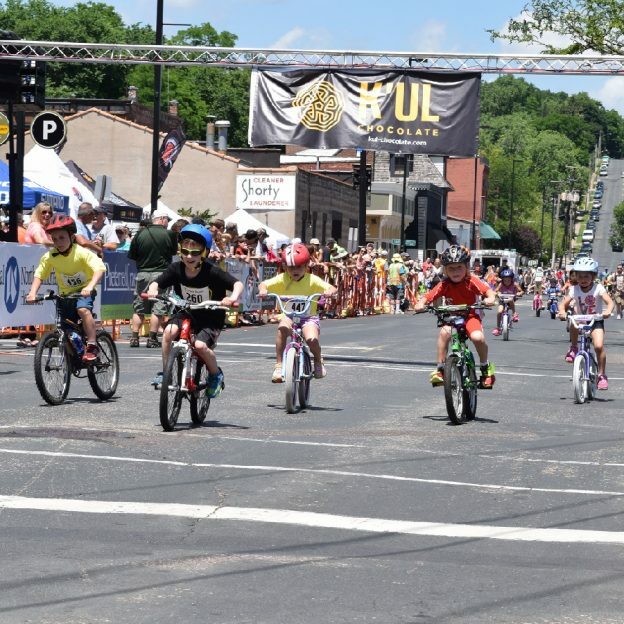 This entry was posted in News and tagged #FindYourNextAdventure, #onlyinMN, kids bike races, men's bike races, North Star Bike Festival and Grand Prix, Stillwater, women's bike races on June 19, 2016 by Russ Lowthian. Bike racers at last years North Star Bike Festival and Grand Prix, in Stillwater, MN are jockeying for position as they head up ChilKoot Hill on the final stage of the 2015 race. The Festival draws the top pro/elite racers from all over the country and this Saturday’s event is the fifth stage of this years race. Today the Festival moves to North Mankato, then on Sunday all points are counted up from the last five stages and the race concludes in Stillwater, MN. See the full schedule here. 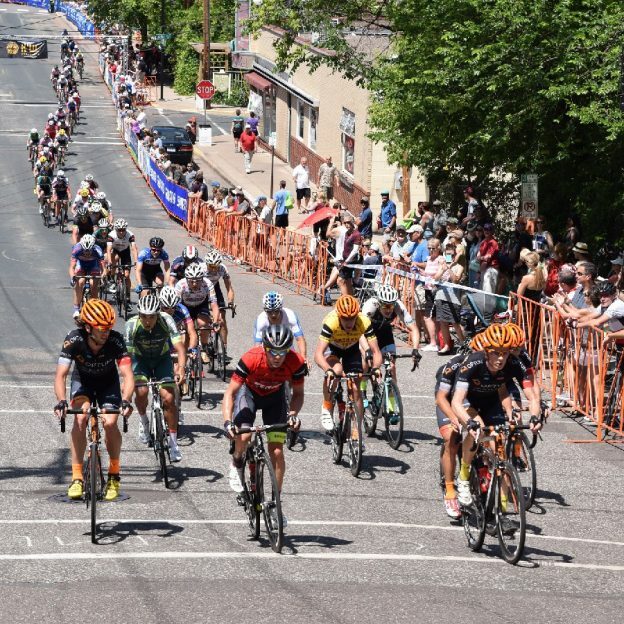 This entry was posted in News and tagged #FindYourNextAdventure, #onlyinMN, men's bike races, North Mankato, North Star Bike Festival and Grand Prix, Stillwater, women's bike races on June 18, 2016 by Russ Lowthian. Bike Pic June 17, ice cream smiles Friday – on race day! 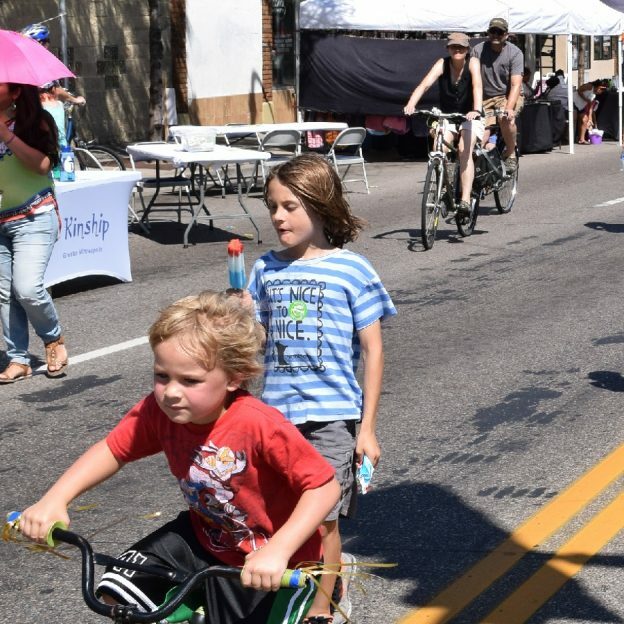 Here a young lad is so intent on his cool treat, before the North Star Bike Festival and Grand Prix last year in Minneapolis Uptown Area, he is smiling within while bicyclists zip around him. The Festival draws the top pro/elite racers from all over the country and this Friday’ evening event if the fourth sage of this years race. Today the Festival moves to Minneapolis, then on Saturday it is in North Mankato and Sunday all points are counted up and the race concludes in Stillwater, MN. See the full schedule here. 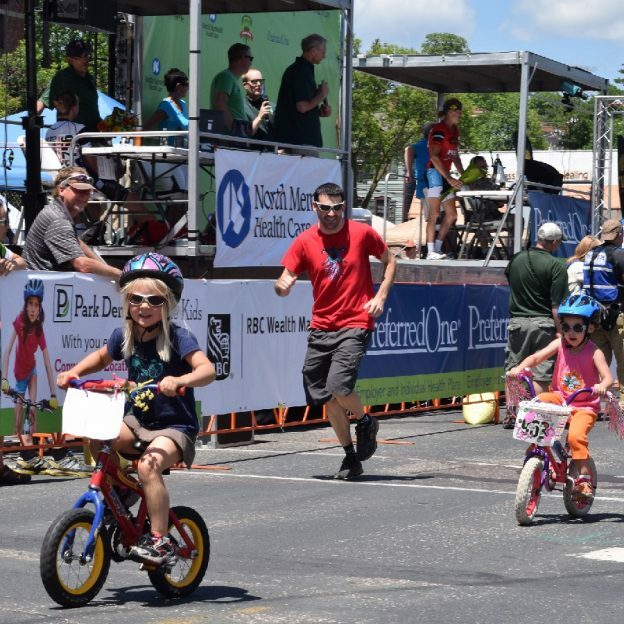 This entry was posted in Picture of the Day and tagged #FindYourNextAdventure, #onlyinMN, kids bike races, men's bike races, Minneapolis, North Mankato, North Star Bike Festival and Grand Prix, Stillwater, women's bike races on June 17, 2016 by Russ Lowthian. Kids racing their bikes at last year’s North Star Bike Festival and Grand Prix, in Stiilwater, MN, where everyone was a winner! The Festival draws the top pro/elite racers from all over the country and started last night in St. Paul, MN. Today the Festival moves to Cannon Falls, then on Friday evening it is in the Minneapolis Uptown Area, Saturday it is in North Mankato and Sunday all points are counted up and the race concludes in Stillwater, MN. See the full schedule here. 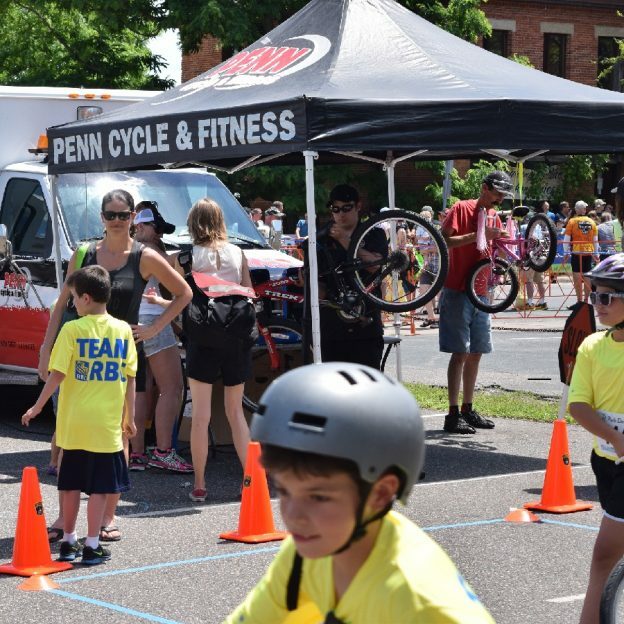 This entry was posted in Picture of the Day and tagged #FindYourNextAdventure, #onlyinMN, Cannon Falls, kids bike races, men's bike races, Minneapolis, North Mankato, North Star Bike Festival and Grand Prix, St. Paul, Stillwater, women's bike races on June 16, 2016 by Russ Lowthian.